I’m trying to corral all the thoughts I have about Bobby Valentine possibly (probably?) 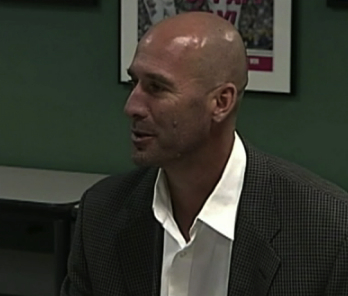 being the new Red Sox manager so forgive me in advance for what will most likely be rambling. I’ll start off by saying his was the first name I (at the time) somewhat jokingly dropped when Terry Francona left because in my post-team meltdown haze I was so mad I wanted the team to have a manager who I thought would kick those guys in the behind if they needed it and not be afraid to tell them to cut the crap. In my (now) lessened haze of anger, I have no idea if that is even realistic. How do you give grown men a kick in the pants and get them to stop acting a certain way? Isn’t that why Tito left the team, because he couldn’t do that? Everyone holds Tito up as the perfect manager and he (by his own admission) lost control of this team. So why would I think someone with the abrasive personality of a Bobby Valentine would make things any better? Here’s where I digress for a moment. I have my preferences. Terry Francona left me with a feeling of calm when it came to future mangers with little experience or not-great records. I haven’t been bothered or worried by the choices showing up for interviews on Yawkey Way because I’m good with there being a process I pay little attention to that the folks in charge of hiring would be more in touch with. Over there, they all know more about what it takes to get a good managerial fit for this team than I do and, regardless of my preferences, I have faith that the person they pick will be chosen for reasons that make sense to the team and will, eventually, work well with what they have. I never thought, given all that was revealed and went on when the 2011 season ended, that I’d be more annoyed with the fans than the organization but today that’s how I feel. When it was announced that Dale Sveum had accepted the manager position with the Chicago Cubs, suddenly people who had spent days lamenting that the Red Sox would even think of considering Sveum, were hand-wringing over the Red Sox losing him to Chicago. Then the unsubstantiated rumors came out that Bobby Valentine is on the top of the list of Red Sox candidates for manager, making people begin talking about how Ben Cherington has no control and Larry Lucchino will run the team into the ground. Here’s where I feel like I need to write my feelings down somewhere just so they don’t get lost in everyone else’s hysteria. As I often do when the subject is emotionally fueled, I wrote three different openings for this entry before I got the feel for what I wanted to write. I’ve often said that as amazing as 2004 was, 2007 was more fun for me. 2004 was full of anxiety and nail biting and when it was all over I sat, alone, watching the rolling rally on television crying (and sneezing….I was sick that day no doubt from the previous two weeks of no sleep) and just taking it all in. In 2007, I told my boss I was going to the parade (and he was great enough to not question it at all) and I spent the day with two equally excited friends (KellyO and Cindy…along with Steve!) and had more fun than I thought possible at a parade. It was party, party, party with a lot of thank yous thrown in. That is what I want to focus on today. This evening Kelly O’Connor has been posting photos from the night the Red Sox clinched the division on her Twitter and Facebook pages as a way of saying goodbye to Jonathan Papelbon. In all my years of watching the Red Sox I can’t remember a night that was more fun to watch (and I wasn’t even there in person) than the night they clinched the division. Realizing they were letting the fans stay at Fenway after the game to watch the Orioles/Yankees game (a reminder: The Yankees needed to lose that game for the Red Sox to clinch. They were beating the Orioles going into the 9th inning and Mariano Rivera blew the lead and the Orioles ended up winning in the tenth on a Melvin Mora bunt single. ), I kept switching from the O’s/Yanks game to NESN because I wanted to watch the celebration. It’s difficult to explain that while the Red Sox clinching the division in 2007 wasn’t as important or exciting as their winning the ALCS and World Series in 2004…it was a whole lot of fun the likes we really hadn’t experienced as Red Sox fans and Papelbon was a huge reason for that. Now, of course Papelbon is a pretty damn good pitcher and any team would be better with him on it and I will miss that feeling I’d get when he took the mound at Fenway and if I had my druthers he’d still be with the team. But I’m not dwelling on any of that. Right now, I’m mourning the loss of a pitcher who, more often than not, got the job done in a manner that could sometimes leave you breathless while also being one of the more entertaining guys on the team. “Mourning” might be the wrong word. I’ve prepared myself for this moment for a while. It’s a bit like what went on with Pedro Martinez. I knew Papelbon was going to follow the money (and who could blame him?) and as I mentioned the other day, as long as he went to a team not in the AL East nor a team I dislike, I’d be okay with it. So I’m happy that he isn’t in the AL East yet sorry that he’s going to the Phillies (although if ever there was a team or fan base I think his personality will fit it with, it’s Philadelphia). So while I’m not exactly mourning, I’m definitely feeling the hurt of losing Paps. I would like the Red Sox to stop subtracting and get going with the addition (although I should say, I’m pleased the Red Sox didn’t sink into Paps what the Phillies are). The entry title refers to Papelbon’s first start in the Majors. You all remember it…a Sunday in 2005 when we all thought Manny Ramirez was getting traded. Before the game (or after, I forget now) a reporter asked him if he preferred being called Jon or Jonathan and he told the reporters that he preferred to be called “Jonathan”. (Prior to being asked, he was usually referred to as “Jon”.) It always stuck with me even though it’s such a little thing because the Papelbon we know now wouldn’t have waited to be asked, he would have just told the reporters. In my life away from baseball, I try to embrace change. Hell, who really has a choice, right? So that’s what I ‘m trying to do with the Red Sox. I’m trying to embrace the changes we’ve already gone through and the ones we’ll be experiencing soon. I’m trying. Leaving out any considerations about the length and cost of his contract and who the closer will be for the Red Sox in 2012, the bottom line is I will genuinely miss Papelbon being a member of the Red Sox and being “ours”. Seeing him as one of “theirs” won’t be easy. Could I be more detached? So not only did I miss manager interview coverage (Hello, Sandy Alomar, Jr) yesterday by being offline for most of the day yesterday, but I missed the Jonathan Papelbon signing with the Toronto Blue Jays or Philadelphia Phillies rumors as well. It’s always a busy sports day when I have to take some time off. I’m feeling a similar ennui in regard to the Papelbon rumors. I really enjoy his entrances into games at Fenway and I really like watching him when he’s on. I’ve also heard some good stories about him off the field so, generally speaking, there’s no reason I shouldn’t want him back in Boston. But, truth be told, if he decides his future is elsewhere, God speed and thanks for 2007. I don’t want to see him go but I won’t be weeping over my laptop if he does. I just don’t want him going anywhere it could adversely affect the Red Sox (like, say, anywhere in the American League East) and I don’t want him to pitch for a team I don’t like (oh, let’s say, like the Philadelphia Phillies). Aside from that, I’m good. I worry that this September and, really, October, have given me this meh feeling for what is going on right now and I hope choosing a new man to lead the team will help in my getting back that feeling I’m used to having when I hear Red Sox news. I never quite understand the whole “I want to be closer to my family” argument when talking about people taking jobs in Major League Baseball. I mean, sure, if you’re the owners or the General Manager or someone else in the front office you can use that argument because traveling isn’t mandatory. But if you’re looking for a managerial job and you aren’t going to be managing in your home town how does it come into play unless it’s the next town over? Maddux’s family is in the Dallas-Fort Worth area of Texas. He’s interviewing tomorrow for a job in Chicago. My understanding is if he were to drive from the Metroplex area (which before yesterday I didn’t even know existed) to Chicago it would take roughly 15 hours. The same drive to Boston would take around 30. In either case, you aren’t really that close to Texas and most likely Mr. Maddux wouldn’t be driving home he’d be flying. I really just don’t get it. Especially considering that half of his time spent as a manager of any team would take him away from the city in which he signed up to manage. He’d be traveling away from his family anyway, right? I suppose what I’m saying is, I don’t buy the “I want to stay close to my family” argument here. I just think Maddux doesn’t want to work for the Red Sox (or in Boston, whichever). And that’s his prerogative. I have to admit that the media frenzy just this past October would have been enough for me, as a candidate for Terry Francona’s job, to tell Ben Cherington “Thanks for the offer but I’d rather chew my own hand off”. Sandy Alomar, Jr. seemingly has no such concerns. Or at least he’s willing to let the Red Sox put him through his paces before rejecting them. Tomorrow he’ll be in Boston for his day o’ interviewing which will make him interviewee number three out of…well, I suppose it could be out of three when this is all said and done. On a note unrelated to baseball, in many places, today is Election Day. Go out and do your civic duty. One of my biggest pet peeves is people who don’t exercise their right to vote and then complain about the outcomes. Go make your voices heard, people. And have a good day! 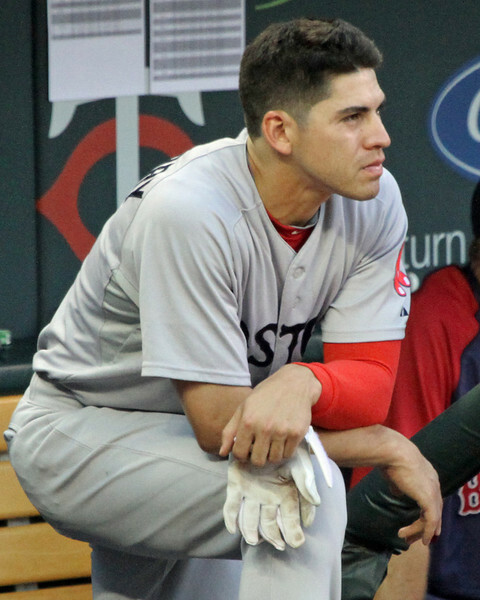 ….and all I can think about is how when he was the third base coach with the Red Sox I had a crush on him and, due to where I usually sat at the games back in 2004 and 2005, somewhere there are many, many photos I took of his backside. I still kind of dig him. 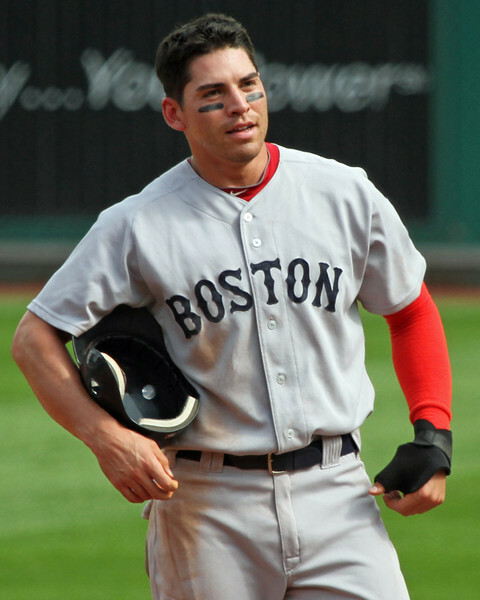 Jacoby Ellsbury won his first, Dustin Pedroia his second and Adrian Gonzalez his third. Let us rejoice in meaningless awards (with all due respect to our three winners who genuinely did good enough glove work to win the award…the fact that Derek Jeter has five of them including, inexplicably, last year will always make me think very little of the award generally). On Monday the Red Sox spent roughly nine hours interviewing Philadelphia Phillies bench coach Pete Mackanin for the manager’s position. 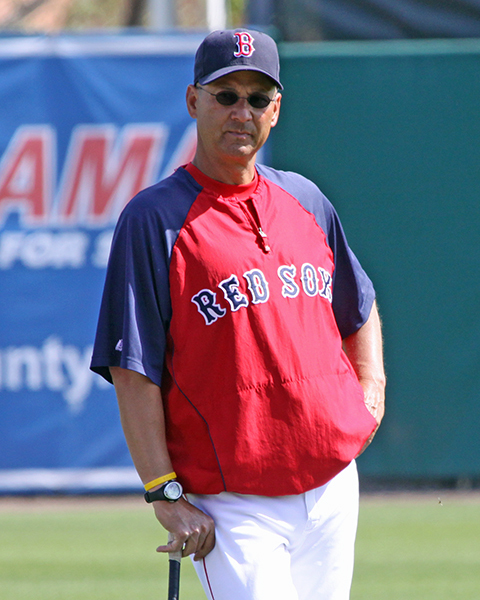 Yesterday John Lackey underwent Tommy John Surgery and today Milwaukee Brewers batting coach (and former Red Sox third base coach) Dale Sveum will go through the interview process for Terry Francona’s job. Lackey’s surgery, reportedly, went well. The surgery means he’ll miss the entire 2012 season and possibly some of 2013. There are still three years and $46 million left on his contract. I’ve been supportive of Lackey and I’ve been hard on Lackey…and all I can say about this is I hope it freaking works and he comes back in 2013 the pitcher I thought he would be when he signed on with the Red Sox. I choose to be hopeful instead of negative. Eventually something has to go right with this guy, yes? “The only thoughts right now is trying to do next year what St. Louis did this year, and try to win a World Series. That’s the only goal,” Gonzalez said. “We’re talking about the Gold Glove, and personal accomplishments are great, but the only thing that really matters to us is winning a World Series and getting to the playoffs first and foremost, which we weren’t able to do this year. The awards, however meaningless these awards have become, are well deserved by our fellas and I congratulate them all. I’m looking forward to the resolution of the manager situation so I can properly start looking forward to Truck Day!